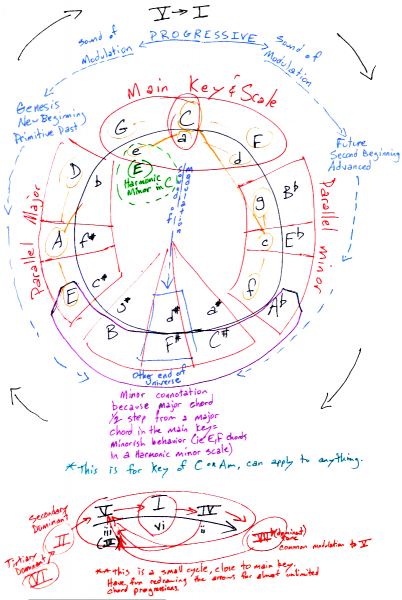 The Circle of Fifths is for daydreaming musicians. Once you know your way around, let your mind wander and you’ll invent great chord progressions etc. 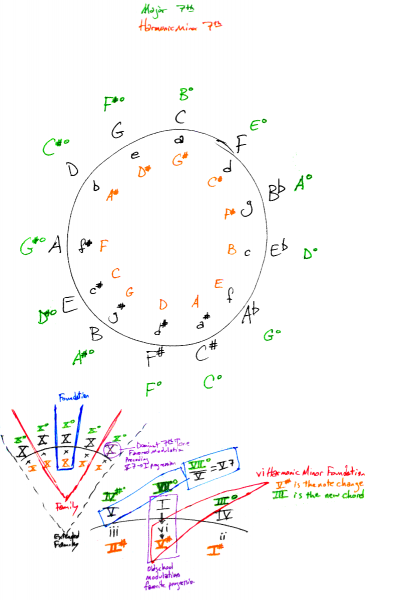 Understanding the modulation flow of the Old Circle of Fifths helps enhance your mind-wandering music-day-dreaming ability. Each triad-chord is paired with the relative Major and minor chords, ie: C Major and a minor are next to each other. Three consecutive pairs constitute a key, with triads and mode scales based on the Major and minor scales in the center, ie: G, C, and F pairs are all in the key of C, using the C Major/a minor scale and whatever mode changes you make for the others (G Mixolydian, D Dorian, etc, all using the same notes as the C Major scale). With the New Circle of Fifths, we add the seventh tone for both the Major and Harmonic minor scales. This brings two new notes/triad-chords to each pair, creating “groups”. 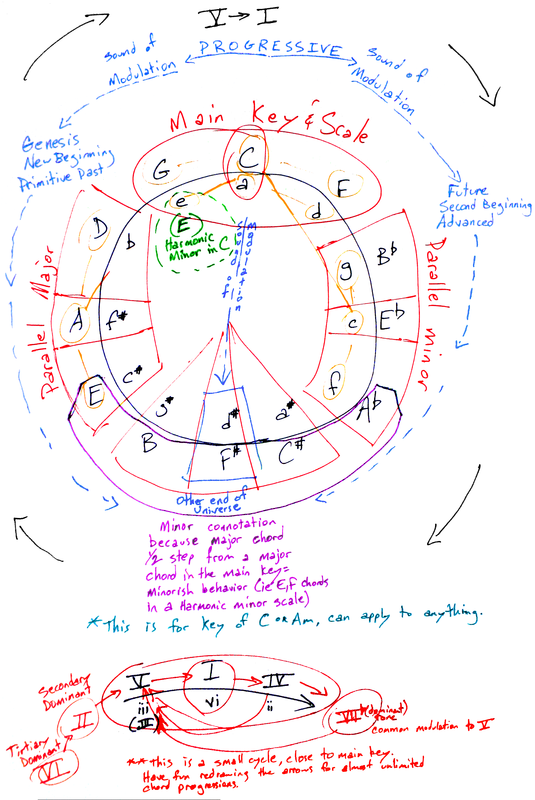 Still, the same three groups (ie: G, C, and F) are in a key, and all the old rules of the Old Circle of Fifths apply. 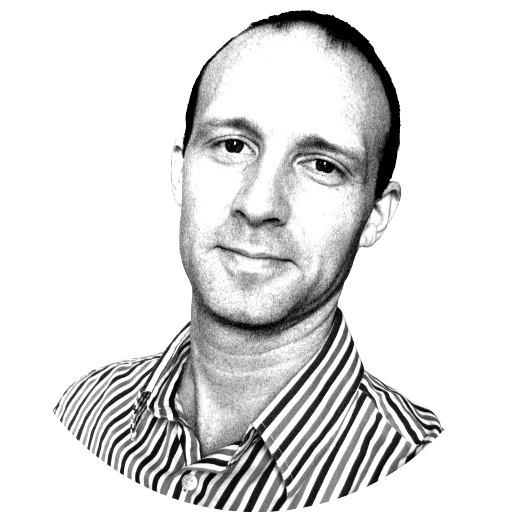 But now we can see more options for simpler understanding of more creative daydreaming. This is a musical daydreaming tool, for creating music. There aren’t any rules to follow, only laws that remain constant and theory about how those laws work—laws like Gravity and Light, but these are for music. Learn to play with the laws and write creative music. Click the pictures for the full size image for downloading and printing. You can also listen to the audio explanation or download the MP3 file that explains how these circles work. I hope you find this useful. I’d also like to recommend PianoForLife.com for more about chords and piano in particular. Mark Almond is really great with that.